With particular pleasure and satisfaction we present a very special new product with this newsletter. Zurich Instruments believes this product shows the most striking innovation in the field of lock-in amplifiers in the last decade. Customers have been asking for higher demodulation frequencies since the HF2LI was launched in 2009, and in response to this we are now introducing the UHFLI with a record-breaking 600 MHz frequency range. With some pride, we present a product that surpasses competing instruments in every single specification parameter. Read more about the UHFLI after a very inspiring customer interview. Dear Prof. Weis, your research team specializes in spin-coherent atomic sensors that can act as probes for physical processes. What is the underlying physics of your experiments? We principally use coherent superposition states of magnetic sublevels in paramagnetic atoms prepared by the interaction with a monochromatic or a phase-coherent bichromatic laser field that is resonant with an atomic transition. In optical pump-probe experiments, combined with variants of magnetic resonance interactions, we study the effect of external perturbations on these long-lived atomic coherences. Which processes can be studied in this way? Using tailored perturbations we make precision measurements of specific atomic properties, such as the effect of blackbody radiation on the Cs atomic clock frequency. On the other hand, we use known atomic properties to make precision, high-sensitivity studies of unknown external perturbations. 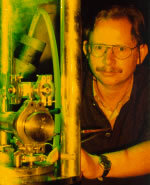 Examples are low-field magnetometry or the study of internal fields in quantum crystals. What are the challenges encountered in your research? Spin-coherent atomic vapors are fragile objects whose use requires their isolation from unwanted phase-disturbing interactions such as stray fields or coherence-quenching cell wall collisions. Another challenge that we recently mastered is the operation of up to 30 magnetometers in vacuum near an electrode charged to 100 kV. Since we detect very faint signals at the photon shot noise limit, the suppression of electrical interference by modulation techniques with phase-sensitive detection is of paramount importance for our research. What are your recent achievements? Our current activities focus on atomic magnetometry, in particular on the development of novel methods and their implementation in various fundamental and applied problems. On the fundamental side we are involved in an experiment at the Paul Scherrer Institute - run by a large multinational collaboration - searching for a permanent electric dipole moment of the neutron, an experiment that will yield insight into the question why there is no antimatter in the universe. On the more applied side we have used an array of 25 atomic magnetometers to record dynamic maps of the magnetic field generated by the beating human heart. We are currently applying this apparatus for the detection of magnetic nanoparticles at small concentrations, which may lead to a novel imaging tool for medical diagnostics. Which trends do you identify in your field of research? A silent revolution is underway in the field of NMR and ESR spectrometry, both for research and for medical applications. Conventional devices evolve towards ever larger magnetic fields, dictated by the sensitivity increase of the conventional pick-up coils that pair with the corresponding larger magnetic resonance frequencies. Replacing the pick-up coil detection by SQUID, or even better, atomic magnetometers, will allow a considerable reduction of the magnetic field strength, and hence of the cost of such devices. To my knowledge, there is currently no significant European counterweight to the strong US-based lead in this field of research. What competitive advantage can a small university like Fribourg offer for your research and your team? A small university, like ours, offers distinct advantages for science students: classes are small and the students have a strong interaction among themselves, the teaching staff knows all students by name and there is a close contact and exchange with the students. However, the relatively small number of students (at least in physics) has a pronounced negative impact on research: it is difficult to get a sufficient number of students involved in ongoing research projects in order to guarantee a smooth continuation of the projects on longer time scales. As a consequence, most PhD students and Postdocs in the physics department have to be hired from abroad. The faculty’s size also implies that research suffers from the comparatively higher load of teaching and administrative duties compared to larger institutions. Zurich Instruments introduces the fastest commercial lock-in amplifier of all time. The UHFLI (Ultra-High Frequency Lock-in Amplifier) performs demodulation as high as 600 MHz, which is three times faster than the capabilities of the closest competitor. While beating the specification of any other competing lock-in amplifier, this new product particularly aims to revolutionize the work of scientists who have had few commercial alternatives so far. The UHFLI lock-in amplifier demodulates signals from DC to 600 MHz while providing 100 dB dynamic reserve over large portions of the supported frequency range. Equipped with 2 single-ended signal inputs, it allows independent demodulation of two signals of interest by also providing 2 high-performance signal generators for external reference and transmission measurements. Internally, each lock-in unit features 3 dual-phase demodulators for simultaneous measurements at 3 arbitrary harmonics. The smallest supported time constant is 30 ns, more than 20 times better than any lock-in amplifier on the market, giving an unprecedented demodulation bandwidth of up to 5 MHz to capture extremely fast events. In order to profit from the wealth of measurement data provided by 6 parallel demodulators, it is possible to stream demodulated samples on the 4 auxiliary connectors placed on the front panel with 28 MHz sampling, or to send digital samples to the controlling computer by LAN and USB interfaces at a rate of 1.5 MS/s. The instrument is also equipped with an integrated tool-set for time and frequency domain signal analysis: an oscilloscope with 65k samples, a frequency response analyzer and an FFT spectrum analyzer with mHz resolution. For this reason the UHFLI can simplify many laboratory setups with its all-in-one-box concept. The architecture of the instrument demonstrates how Zurich Instruments goes the extra mile with innovative product design and performance up to the highest frequencies. The approach consists of uncompromising direct digital demodulation without prior down-mixing in the analog world. The only components the analog signals encounter on the way to the A/D converters are termination impedances, electrostatic discharge protections, and an input gain amplifier adapted for signals in the range between 1 mV and 1.5 V. After the high-performance digitizing of the input signal at 1.8 GSa/s, the signal processing is performed in the digital world, free of drifts, offsets, and imperfections. Very high precision is achieved with 128-bit internal signal processing. Researchers that are using vector network analyzers without access to demodulated data will enjoy using this lock-in amplifier for their measurements. Others will not have to down-mix their UHF signals with external components, or will not have to divert their resources to implement custom measurement circuits. The growing requirements of bio-engineering applications and the need to reduce system costs are the main drivers for the development of more advanced manipulation tools. One important trend is the use of electrical signal detection instead of sophisticated optical recognition, considerably saving on the cost of lasers, markers and optics. In the field of electrical impedance spectroscopy (EIS) many achievements have been published in the last decade, for instance the sorting of cells infected by a virus from healthy cells. Amongst the upcoming challenges will be decision making based on measurements performed with EIS shortly after the cells have passed the electrodes, based for instance on real-time pattern recognition. The high sensitivity and the fast digital signal processing capabilities of the HF2 Instruments have established them as an ideal tool for dynamic impedance measurements. Whilst some applications require only offline analysis of the acquired signal, streamed to the host computer via USB, certain applications require real-time signal processing for communication and interaction with other devices in laboratory setups. The important features of a real-time system include a sufficient number of input and output connectors for device interconnection and a known, predictable latency to any signal change at the input. The real-time option available for the HF2 Instruments enables the user to take full advantage of its powerful digital signal processing and avoid the latency of USB data transfer. This allows the user to run his application-specific algorithms on a dedicated microprocessor inside the HF2. The real-time option comes with an application programming interface (API) so that the user can configure the entire instrument, obtain demodulated samples or signals from auxiliary inputs for analysis, and subsequently trigger events on the instrument's digital input/output (DIO) port, or stream signals via the auxiliary analog outputs to external devices in the laboratory. Zurich Instruments is developing one such application in conjunction with the European Union funded PASCA Project (Platform for Advanced Single Cell Manipulation and Analysis, www.pasca.eu). In this project the HF2IS Impedance Spectroscope measures the impedance change of a single cell as it passes electrodes in a microfluidic channel stimulated with up to eight AC voltages of specified frequencies. The real-time program running in the HF2IS continuously obtains the demodulated samples, detects when a cell passes the electrodes and classifies the cell using a pattern recognition algorithm: if a desired cell type is recognized, a trigger signal is sent via the DIO in order to activate the piezo pump downstream in the channel and eject the cell from the channel onto a cell-array. Zurich Instruments offers innovative and easy to use solutions that promise fewer cables, fewer hassles, and fewer error prone setups. The Zurich Instruments HF2PLL Phase-locked Loop can be connected and operated together with a Bruker Icon AFM (atomic force microscope) with a Nanoscope AFM controller. All interfaces between the instruments are analog and both instruments can independently be controlled with their own graphical user interface ensuring straightforward interoperation. The technical note released by Zurich Instruments presents the interconnectivity between the systems. Measurements on titanium dioxide particles have been made in less than 1 day as a proof for simple integration. Countless Bruker/Veeco AFM users around the world can now benefit from 2 additional operating modes with frequency control: constant excitation FM-AFM and constant amplitude FM-AFM. This capability will be enhanced in the coming months with dual-PLL, multi-mode, Kelvin probe force microscopy and Q-Control. The team of Ernst Meyer at the University of Basel, Switzerland, announces the successful implementation of a novel AFM operation mode that addresses the improved imaging of non-linear force and potential fields. Despite much progress in the field of dynamic force spectroscopy (DFS) during the last 10 years, the time required for such scans has remained excessively long due to the enormous amount of required measurement points. 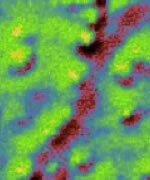 Due to the long scanning time problems such as thermal drift had to be compensated for by, for instance, atom tracking. The method presented here has been theoretically validated and does not require multiple scans at different heights nor classical spectroscopy on each point. The new AFM mode could be called multi-harmonic AFM imaging and exploits the fact that the non-linear interaction between sample and AFM tip generates a frequency deviation signal that contains many harmonic components. A system with 12 parallel lock-in amplifiers synchronized to the same fundamental frequency was successfully used to measure these harmonics of the frequency deviation. With the captured signals, the force field and the potential field can then be reconstructed by mathematical means. A measurement speed increase by a factor of 210 compared to previous known implementations has been observed. One single surface scan of an area of 870 x 1160 pm that revealed the non-linear potential fields at atomic resolution took no more than 400 s thanks to the use of two Zurich Instruments HF2LI lock-in amplifiers in parallel. When it comes to measuring tiny signals in a noisy environment, avoiding spurious noise pick-up and ground loops is crucial. In such cases, a differential voltage connection can be superior as compared to a single-ended connection, since the common mode which is picked-up by both cables is subtracted from the signal of interest and therefore the effect of the ground-loop is reduced. The Zurich Instruments HF2LI/HF2IS products offer differential measurements with the two input BNC connectors labeled +In and -In/Diff. Unfortunately, in many cases a differential signal is not easily available. Nevertheless, the differential instrument input can be exploited by guiding the signal voltage to +In and the experiment ground (typically the BNC shield) to the -In Diff connector. The instrument ground can now be referenced by connecting the BNC shield of the experiment cable with the instrument’s BNC shield using a variable resistor. The best value for the resistor is typically determined experimentally and may lie between 10 Ω and 100 kΩ depending for instance on the potential difference between the experiment and the instrument ground. This resistor effectively breaks the ground loop established with the BNC cables, and also the common mode between signal and shield is removed by the differential input stage.